At the southern end of Lake Windermere adjoining the River Leven, Newby Bridge is a small village, with a good selection of accommodation including hotels and B&B's. Newby bridge takes its name from the five-arched stone bridge built across the river in 1651. The famous Lakeside & Haverthwaite steam railway runs between Haverthwaite on a 3.5 mile journey via Newby Bridge to Lakeside station on Lake Windermere, where you can pick up regular steamer services on Lake Windermere. Newby Bridge is the ideal location to relax, enjoy the beautiful Lake District scenery, experience the excellent selection of food and drink available, and explore the Southern Lakeland and Morecambe Bay areas including Ulverston, Cartmel and Grange-over-Sands. Black Beck Holiday Park is a 5 * Holiday Park in the heart of the Southern Lakes with excellent facilities and stunning views. 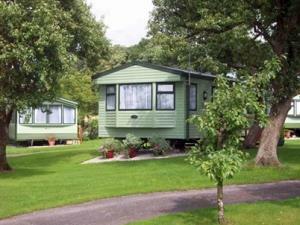 The park boasts of static holiday homes, serviced touring pitches, holiday homes and lodges. 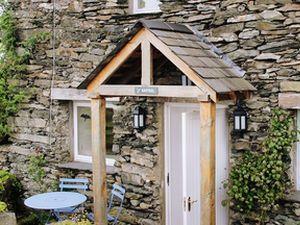 Wall Nook is located in lovely countryside just over a mile from the charming, foodie village of Cartmel. 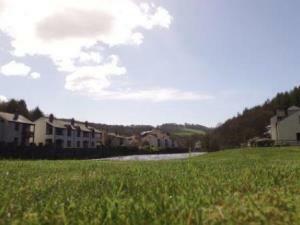 5* Holiday Park offering excellent facilities and self-catering stone conversions for weekly let. Lakeshore access and boat launching on Windermere. Nestled on the slopes of ancient woodland, Hill of Oaks is an award winning 5 Star Holiday Park located in the heart of the Lake District National Park. 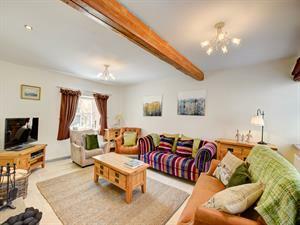 A beautifully refurbished cottage near Newby Bridge ideally situated to explore the Lake District national park. 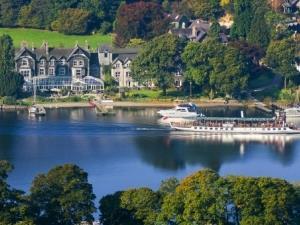 Lakeside Hotel, the best 4 star hotel on the shores of Windermere, offers you a unique location on the water's edge. 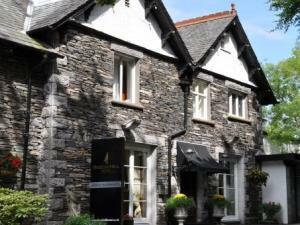 It is a classic traditional Lakeland Hotel, personally owned and managed and in a delightful setting. 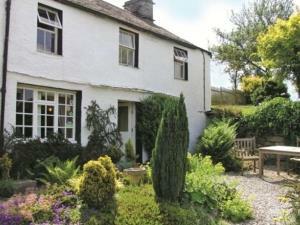 Crosslands is a 17thC farmhouse in the unspoilt valley of Rusland nestled between the lakes of Windermere and Coniston. 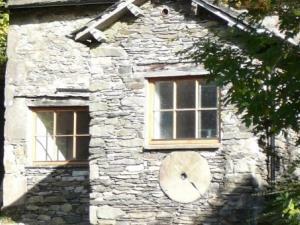 It is a perfect base for walking & cycling within easy reach of Hawkshead, Grizedale Forest and all the lakeland hills. A small quiet park, family owned and supervised in a rural setting. 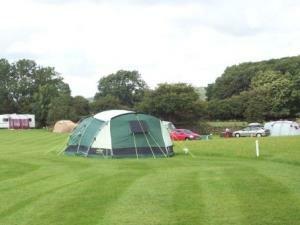 The small static park is situated in an old farm orchard and has 2 luxury VisitEngland accredited caravans for hire. 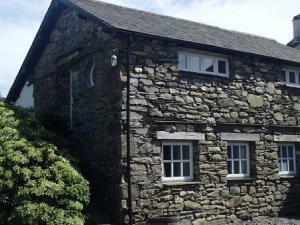 Ideal base for south of Lake District National Park. In a quiet wooded location with secluded garden overlooking a restful garden tarn and own drive, this cottage has been completely refurbished with walnut wood floors and two bathrooms. The winner of many top-quality awards, Park Cliffe is set in 25 acres of picture-postcard countryside above the eastern shores of Windermere with sweeping views across the lake. A long established holiday village on the banks of the River Leven, close to all the major attractions and with good transport links. On site leisure facilities are included during any stay. Experience the adventure. Glamping is one of the best ways to stay close to nature, without sacrificing on those all-important home comforts. Newby Bridge Caravan Park is a perfect location for self catering holidays; surrounded by woodlands, the Park provides a a tranquil setting with an abundance of wildlife, excellent facilities and easy access to a variety of activities. The Whitewater Hotel is the ultimate Lake district retreat featuring the fantastic Cascades Leisure Club & Spa. Luxury Cottage set in the heart of the Lake District, between Windermere and Coniston, Lands End Cottage is a beautiful, two-bedroomed cottage. Cumbria Tourism 2016 Holiday Park of the Year award winner, Park Cliffe is set in 25 acres of picture-postcard countryside above the eastern shores of Windermere. Yet family-owned, Park Cliffe is only a short drive from the M6. Cumbria Tourism 2016 Holiday Park of the Year award winner. Our family run park is set in 25 acres of spectacular open and unspoilt countryside and is within 4 miles of the centre of the lakes at Bowness on Windermere. Quiet family run park in South Lakes. 2 miles from Lake Windermere. Level grass pitches. Additional paddock ideal for motor homes and tourers. Electric hook ups (6amps) & hard standings available. We have 2 luxury holiday homes for hire. Explore the South Lakes area - take a cruise on Lake Windermere from the nearby Lakeside Jetty; travel by steam train by visiting the Lakeside and Heverthwaite heritage railway and experience great food from the many excellent restaurants and pubs in the South Lakeland area. There are a variety of events taking place in Newby Bridge and the surrounding areas over the year. Why dont you check out the calendar and see what's on while you're here? A centre-piece for Newby Bridge is the striking riverside 17 century coaching Inn/hotel with its pretty riverside setting, in which to enjoy a tasty restaurant or bar meal. If weather permits though, what could be better than taking a lazy lunch and glass of wine on the riverside terrace, watching all manner of water-birds swim by. 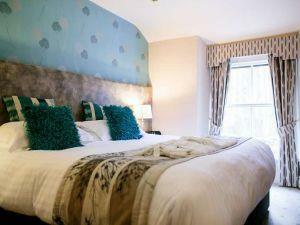 There are a few hotels either in Newby bridge itself or a short distance drive away. Fine dining can either be enjoyed with a riverside or spectacular lakeside setting, serving incredible food made by excellent chefs. The service is always friendly whether you chose to eat in the restaurant or the bar. Why not try a 6-course taster menu for an exquisite culinary experience? The café experience is a little spread out, with cafes just a short distance drive away either at Backbarrow or Low Newton. There’s the promise of legendary scones and the best Sunday lunch (!) to be enjoyed at a café on the banks of the river Leven. What better way to enjoy your lunch or afternoon tea, sitting out on the terrace overlooking the river, providing it’s warm of course, otherwise there’s cosy surroundings inside. Or have your morning coffee and home-baked cakes in the quirky surroundings of an old barn with log burners dotted around the place, should it be a bit chilly. There are extensive menus to try for lunch and the food is always inventive and delicious. You won’t find pubs in the village itself, although the hotels have excellent bars in relaxed surroundings. However, you only have to go up the road a few kilometres to villages like Bouth and Lowick Green to enjoy traditional country pubs. Warm glowing fires in winter, or a patio in summer looking out over open countryside, provides the perfect atmosphere to enjoy an excellent range of daily specials - and for those who like their ale, try the Taster 3 third pints of ale! Cartmel is a picturesque village in the southern Lake District and is an excellent base for exploring. Cartmel also appeals to food lovers, being the home of the famous Cartmel Sticky Toffee Pudding and delightful independent artisan shops. The famous Lakeside & Haverthwaite steam railway runs between Haverthwaite on a 3.5 mile journey via Newby Bridge to Lakeside station on Lake Windermere, where you can pick up regular steamer services on Lake Windermere. This festival capital of Furness combines special events with an assortment of specialist shops, cosy pubs, traditional markets and cultural hotspots. Add in the colourfully rendered houses, cobbled streets and inviting side alleys and there's enough of interest to keep you enthralled for days. Grange retains much elegance from its Edwardian heyday, with ornamental gardens, attractive shopping arcades and a sea-front promenade for relaxing walks.